Waiting time, repetitive strain and uncomfortable positions will be only a sad memory for the operator that use INDEVA Lean System® modular work stations! 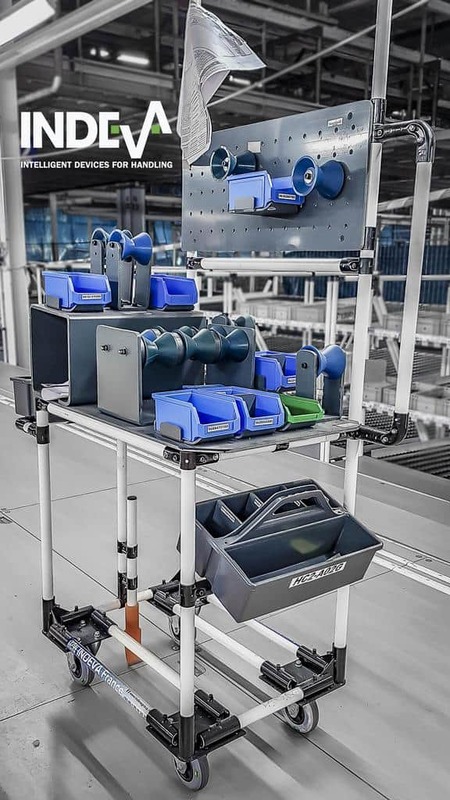 INDEVA Lean System® allows you to build ergonomic workstations to perfectly suit your requirement and each operator specific demand, with convenient parts presentation and integral lighting. All components can be used over and over to create different modular structures as your requirements change.